A new study published in the Journal of the American Medical Association suggests that people living with mild asthma do not have to use their inhaler as often as they thought. The study found no difference in patient outcomes whether patients took the powerful drugs each day or only when symptoms appeared. About 25 million Americans have asthma. Doctors typically assume that asthma is present even without symptoms, so it should be treated on an ongoing basis with anti-inflammatory drugs. The current accepted regimen is twice-daily use of an inhaled corticosteroid and then the use of a “rescue” medication, such as albuterol, should symptoms arise. 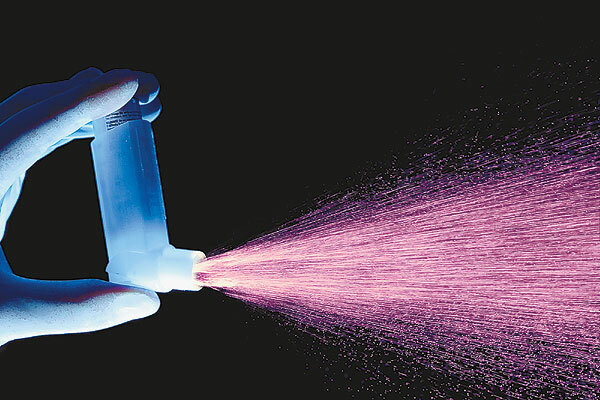 This study challenged “the standard practice of daily inhaled corticosteroid use for mild, persistent asthma in adults” and found that the daily use is not always necessary. Categories: Body | Tags: asthma, health, inhaler, steroids | Permalink.